Jump City’s Accelerator TWO LANE wet with water or dry Slide! Combo Inflatable has Bounce House, Rock Wall and Slide! 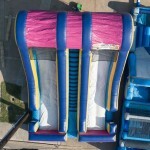 Jump City’s Accelerator TWO lane Slide for use as a wet or dry Slide! Combo Inflatable Bounce House, Rock Wall and Slide! 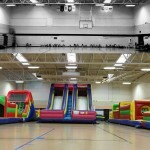 We have many inflatables for your party! It is ready for your children’s Party, or event. Rent one for your party today! Call now for your Dallas, Plano, Frisco, and all areas in between – we deliver on time every time!